DPA is "Daily Physical Activity"
It is recommended that each day we have at least 20 minutes of sustained exercise. On days that we don't have gym or pool, we do some form of exercise in the classroom, in the hallway, downstairs in Room 35, or outside. 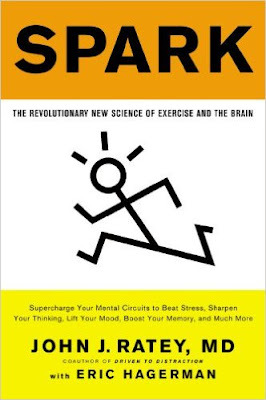 I have been reading this book about how exercise helps our brains learn other things better. One day last week we had a tabata challenge with Mme. LaFlair's class. For 4 minutes we alternated squats with seal jacks. Here is a fast motion video of us during one of our sets!